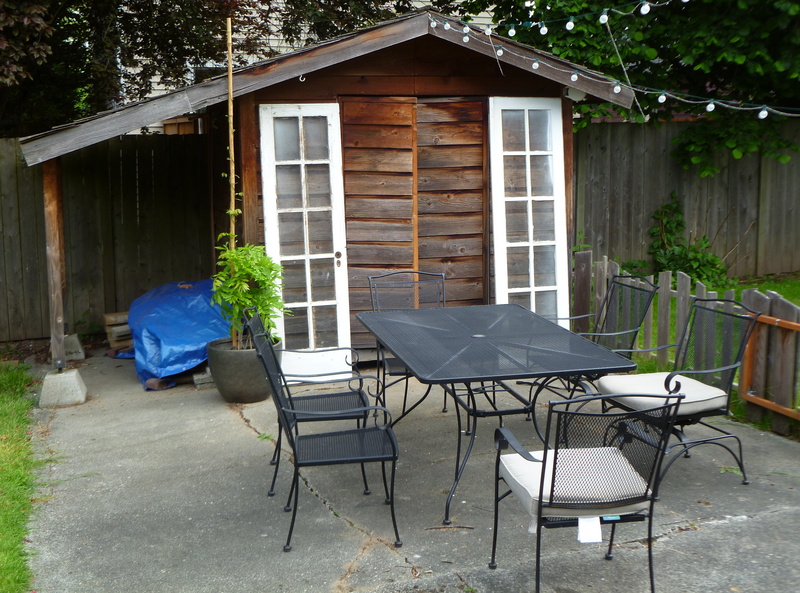 This is our little garden shed, inherited from the last owners. 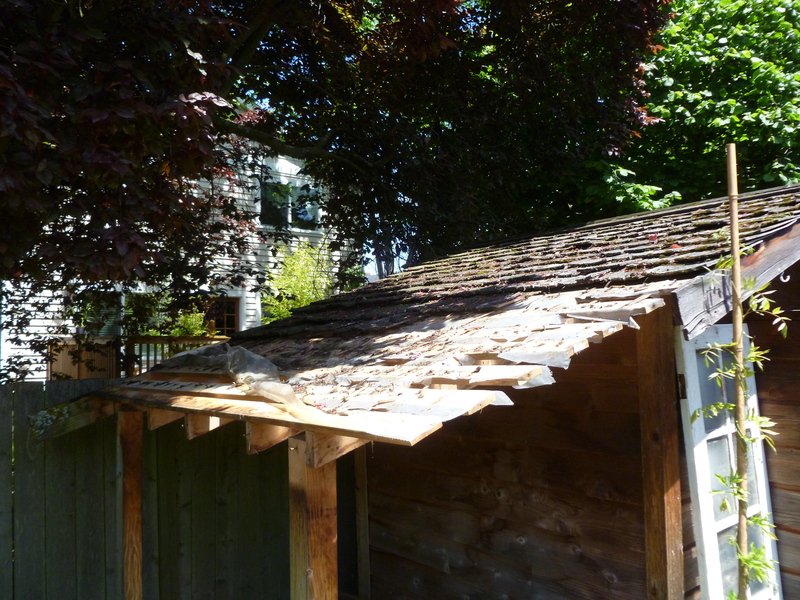 The last owners build a little carport like addition, which for one – wasn’t built very well so the water rains through the shingles and two – isn’t tall enough to stand under. Jesse thinks that it should just come down, but I think that it could stand to be BETTER REMADE! I envision it as a romantic backdrop to an evening dinner complete with lights and vines. 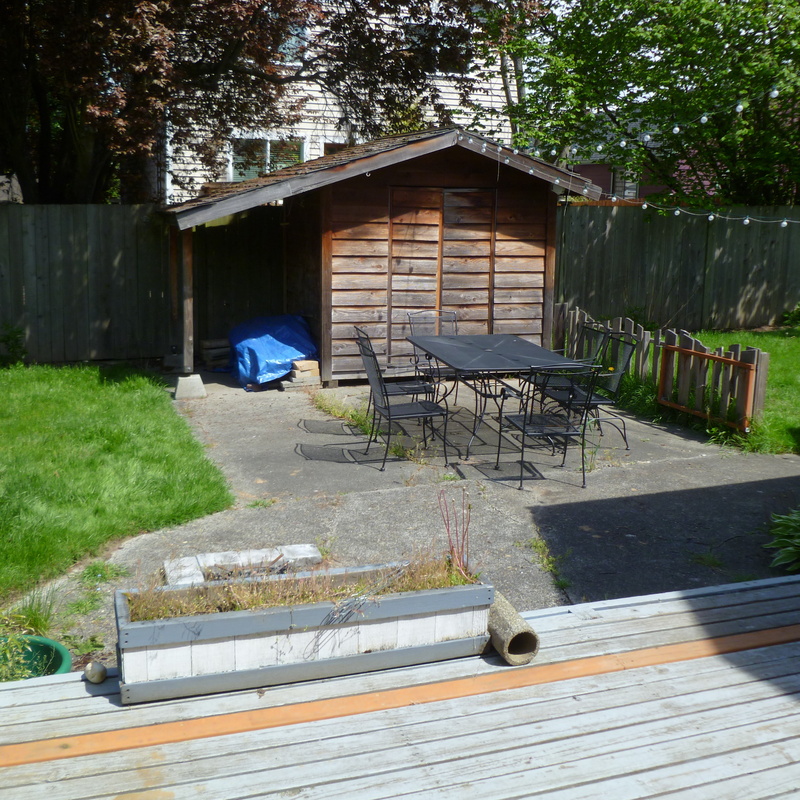 So what does every romantic country shed have…French doors! I knew that they would be expensive so I thought that my only option would be the ReStore. I figured I would probably have to make multiple trips in order to find the perfect size and pair. But wait…No! First visit! Disbelief! 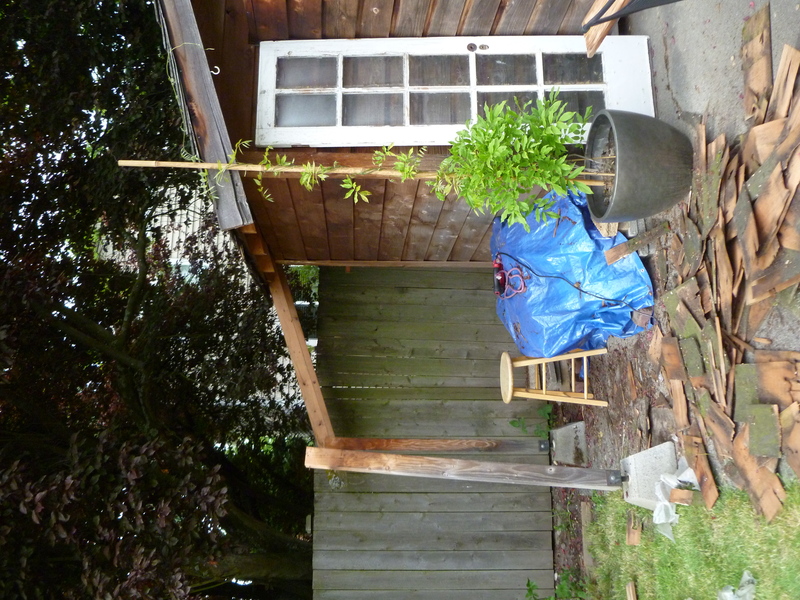 They do need to be trimmed slightly, mainly in length, and they also need to be refinished, but all the glass panes are intact and even just leaning against the shed I think it looks ten times better. They just lighten everything up. Side note – I bought the wisteria plant thinking that it would need a head start, giving it plenty of time to grow so by next year it wouldn’t look little and brand new. WRONG! I put the bamboo pole in the pot, and within 3 weeks it grew taller than the pole! Next step – on to demo! The rotted shingles came off pretty easily and the plastic was half disintegrated, which explains why water poured through. And then the final posts came down! 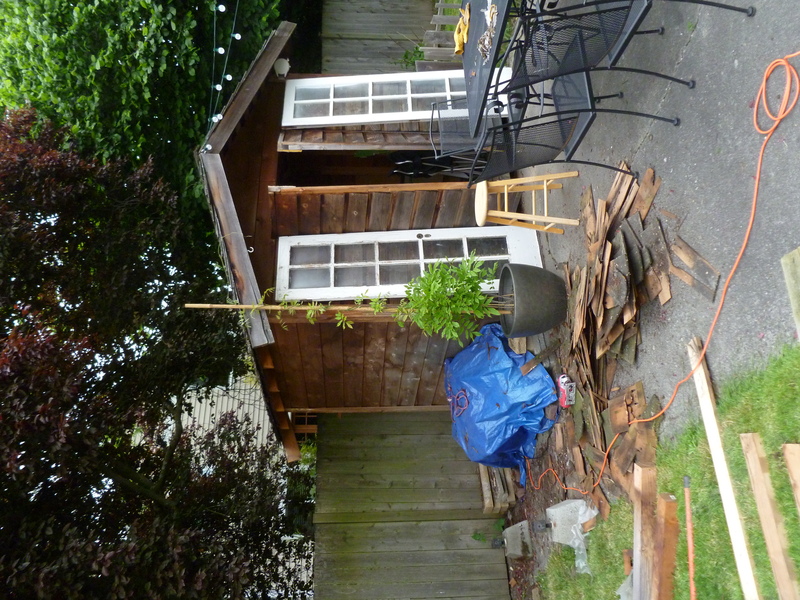 Is it just me, or does the shed looking greatly improved?! Next step, trim the doors and the new roof boards!